These classes offer different ways to deepen our faith and understanding, with topics such as the Bible, Christian history, aspects of our faith, or issues in the world today. You are welcome to join us! Our coffee hour is located in Parish Hall 1, which faces onto our Memorial Garden, and classes typically meet in Parish Hall 2 just down the hall from the coffee hour. All classes are designed so that you can start attending at any point — no previous attendance required! Being Disciples: Join us to reflect on and share with others about what it means to be a faithful person in the world. 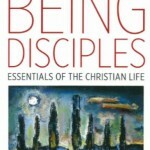 Using the book Being Disciples by Rowan Williams, the former Archbishop of Canterbury, we will go deeper into how to hold onto our faith in a changing and challenging world. Covering topics such as forgiveness, holiness, faith in society, and more, this book seeks to provoke our thought and reflection on how to be “signs of life and hope in our world.” Join Fr. Gar and Fr. Steven for this time of reflecting and sharing each Sunday of October! 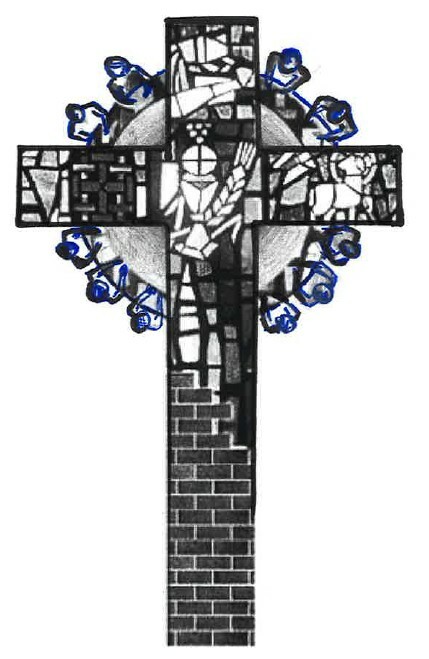 New Wednesday Adult Formation to begin October 12! Living the Questions: We will be starting a Wednesday evening adult formation group. 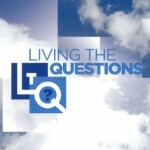 We will be meeting at 7:00 pm and will start by using the Living the Questions video series. The group will meet for several weeks covering a wide range of topics as we grow week to week in our faith together. All are welcome. Hebrews: Encouragement in or Walk of Faith: The letter to the Hebrews is one of the most well-known texts of the Greek Testament. It is considered one of Paul’s most eloquently written and contains many gems of encouragement and exhortation. Delving deeply into the identity of Jesus as the Christ or Messiah the letter pushes themes of the new kingdom of God for a persecuted audience of both Jews and Greeks. This three-week study will take us through many of the themes in this letter, sometimes considered a sermon. This class was co-led by Fr. Gar Demo & Fr. Steven King during the month of September, 2016. Living the Questions: Using videos and other tools, this class will explore the questions of our faith that we may not have asked before. This curriculum is a practical tool to help engage the questions about faith and the Church that arise as we go through life. Offered on Sundays before Lent, 2016. Preparing For Lent: This class offers a chance to come together and hear some Lenten practices, or share some of your own. We’ll talk about the themes of Lent and different ways we can hear the call to a season of contemplation and reflection. What can that mean for your faith life? This class was offered on Sunday, February 15, the last Sunday before Lent began – 2015. Praying in Color: This class uses materials from Sybil MacBeth’s “Praying in Color” book and workshops to offer an opportunity to pray in a different way. Rather than staying focused on words, the praying in color exercise invites wordless thought and prayer, creative activity, and meditation. Some examples and a brief introduction can be seen on her website, Praying in Color. Feel free to grab coffee and come by! This class was offered on Sunday, February 15, the last Sunday before Lent began – 2015. Less Hectic, More Holy: As early as August and September, our culture tells us to start planning for a fast, packed, and expensive holiday season. Come share how you put the brakes on, and what deeper traditions are important to you about Advent and Christmas. This class was led by Linda Bemis and Sarah Kidder during December 2014. The Winter Fairy Tales: The winter can be a season of wonder, and remind us that our hearts can teach us things, as well as our heads. Come wrestle with how our imagination might help our rational side find the best ways to live. This class was led by the Rev Ben Varnum – readings from Tending the Heart of Virtue by Professor Vigen Guroian will be available as optional reading for those who are interested! This class met on Sundays, Dec 7 to Dec 21, 2014. Check back soon for more class updates!